A federal judge has dismissed the religious discrimination lawsuit filed by three Muslim former Board of Adjustment members. U.S. district judge John Michael Vazquez dismissed all the federal claims in the suit filed by Aheya Khan, Montaha Deeb, and Alaur Khondokar on Tuesday. Vazquez dismissed the claim that the three former members were removed from the board after complaining about discrimination. He also dismissed the claim that the city violated their right of free association. “All of these allegations are conclusory — they do not allege sufficient facts that plausibly plead a municipal policy or custom,” wrote Vazquez in his opinion referring to unlawful policy or custom permitting harassment and discrimination. Vazquez had previously dismissed majority of their federal claims like deprivation of due process and violation of freedom of speech. Khan, Deeb, and Khondokar’s attorney Lisa Fittipaldi did not respond to a call for comment on Thursday morning. “It wasn’t enough for a federal case,” said Khan. Vazquez declined to exercise jurisdiction over some of the state law discrimination claims raised in the lawsuit. Khan did not rule out a possible second case in state court. He said he has to speak to his lawyer. Municipal officials welcomed the dismissal. “I’m happy the judge dismissed the case. It should have never been brought before a judge in the first place,” said councilwoman Ruby Cotton. Cotton had to appoint a new member to the Board of Adjustment because her appointee, Geraldine Rayfield, was accused of wrongly claiming the Muslim board members had conflicts of interest. Rayfield, chairman Gerald Thaxton, and board secretary Margarita “Maggie” Rodriguez were accused of prejudice by the three Muslim members. The controversy that led to the federal lawsuit began brewing in mid-2015. Whenever an individual bearing Islamic names such as Mohammed or Ahmed appeared before the board other members would call on the three Muslim to recuse themselves due to unfounded conflict of interest, according to Khan. Khan lobbied the City Council to hold hearings to address the situation. In Mar. 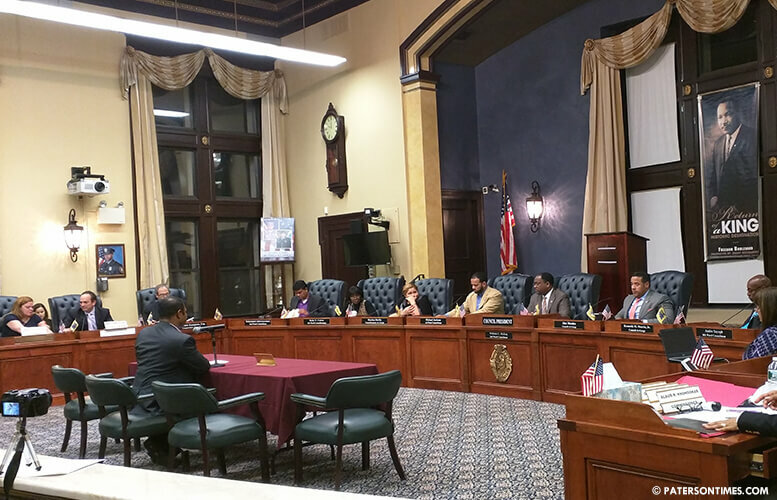 2016, the City Council held a series of hearings. The council never completed its inquiry. Instead, the council removed Deeb and Khan in Sept. 2016. Rayfield and Khondokar were not re-appointed in Jul. 2016. Thank to the judge that handled this case not everything amounts to discrimination. I will say there seem to be a lot of infighting within the city as everyone want control . We probably should learn to work together for the better good of the city and its residents. Council please start the decision don’t wait until you are seeking re-election.